On Wednesday night, following the first day of the Milwaukee Admirals “Garage Sale” event, myself and a group of fans went to Major Goolsby’s to discuss and create the Admirals Roundtable annual Paper Plate Awards. For those that missed out on that shindig: (1) I would love for us to have some more get-togethers like that and (2) feel free to add your own in the comments! New to the Roundtable and don’t know the Paper Plate tradition? Check out Ryan Miller’s previous contributions in 2010-11, 2011-12 (Part I and Part II) and 2012-13. Get the gist? Perfect! Now let’s dish out the awards. 1, Hannu Toivonen: The Punniness Man of the Year Award – There wasn’t a player who made a bigger impact in the Milwaukee hockey pun world than Hannu Toivonen this season. After spending the first part of his season with the Toledo Walleye of the ECHL he instantly got Hannu lease on life with the Admirals. It may not have been a long stay for him… but boy did the Twitter puns start getting Hannoying. 2, Anthony Bitteto: The Honorary Sconnie Award – This season Anthony Bitetto slowly but surely developed into a fully blown Sconnie before our eyes. He went to a Green Bay Packers game. His dog, named Reggie, became a Packers fan. He went hunting. He went hunting a lot. Like, a lot. So much so he earned a patch to make it official. Sure, the Admirals take their annual Brewers trip as well but that didn’t stop him from also attending more games. We Sconnies accept you as one of our own, Tony. 3, Jonathan Diaby: The Gregor Clegane “Mountain” Award – He joined at the end of the season but instantly showcased something that set him apart from his new teammates. 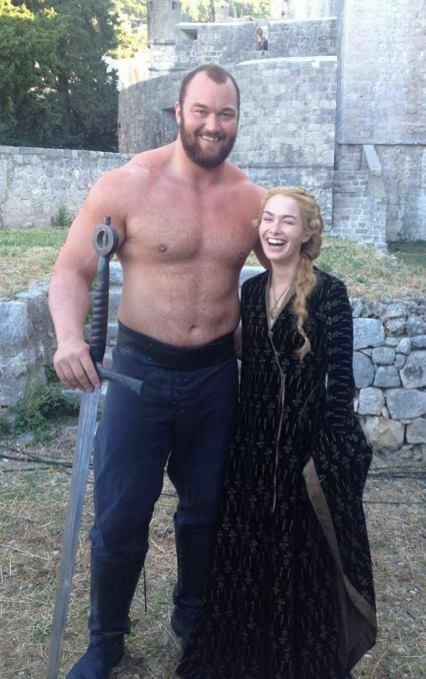 HE IS CRAZY HUGE. Can you imagine him skating in a defensive pair with Ryan Ellis? No. You can’t. 4, Scott Ford: The Ironman Award – There are plenty of hockey players that battle through injury. The best known Admirals story from this season? Scott Ford returning from a broken foot. He was supposed to be out of action for up to six-weeks. He returned to game action exactly twenty-days following his injury citing his foot felt better in a stiff boot anyways. 5, Teddy Ruth, Michael Young, Jaynen Rissling: The Diabolical Digit Award – This was a bad year for the #5 this season. Sure, Rissling inherited when he joined very late in the season but no other number was used more this season by the Admirals. Ruth retired. Young signed on an ATO, was injured in his first professional game, and was released. Here is hoping the #5 has a better fate in 2014-15. 7, Joe Piskula: The Homestate Hero Award – The Antigo native didn’t just have a great season on the ice. He also had an amazing time off of it. The standout day in mind comes from the Admirals “Antigo Day” which was featured in an episode of All Access. He, as always, was his humble Sconnie self. Oh, and I believe Bitetto would consider him a hunting enabler. Just saying. 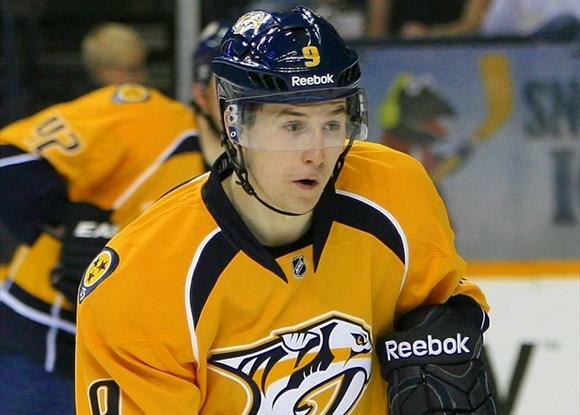 8, Filip Forsberg: The Magnifying Glass Award – Ever since his acquisition from the Washington Capitals last season, Filip Forsberg has been under the Nashville microscope BIG time. I completely understand why, as well. He was traded for Michael Latta after all. Truth be told, the kid that drops the teenager title in August still has that little bit more to go yet. I should know. I’ve been telling plenty of Predators fans that all season. 10, Patrick Cehlin: The “I Punched Jon Blum In The Face” Award – This should go without saying… but that was awesome. 11, Paul Crowder: The Longest Neck Award – He played in four-games this season. Just four. 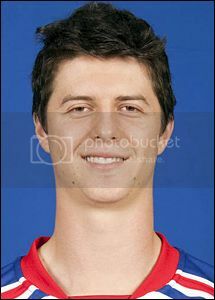 Meaning we didn’t really get to witness the amazingness that is Paul Crowder’s neck. 12, Mikko Vainonen: The Next Joonas Jarvinen Award – Finnish? Check. Has a height of 6’3″ tall? Check. Came up through the SM-Liiga? Check. “Stay-at-home” defenseman? Check. Impossible to find photos of him “smiling” on the internet? Yep, they are the same guy. 13, Joe Pendenza: The “Don’t You Forget About Me” Award – He joined the Admirals on an ATO contract after finishing a college playing career for U-Mass-Lowell. After the Ads elimination from this year’s Calder Cup Playoffs he became the second man to re-sign for the 2014-15 season behind Mike Liambas. Joe Pendenza played five-games with the Admirals. Expect him to play more later this year. 15, Kevin Henderson: The Greener Pastures Award – It wasn’t really a trade but it basically worked like one. The Admirals and Texas Stars swapped loan deals between Kevin Henderson and Francis Wathier. While Wathier did well here – Henderson joined the AHL’s best team in the regular season and is in shouting distance of competing in the 2014 Calder Cup Finals. 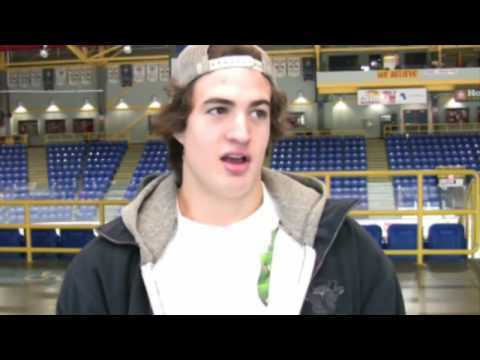 15, Braden Pimm: The Most Likely To Be Carded Into His Thirties Award – Just look at that face. Now realize this. That face is five-year’s older than this one. …ok, I think both could win this one. 17, Mike Liambas: The Nostradamus Award – Back in January, while doing a feature story on him, Bus-y accurately predicted his rookie roommate Colton Sissons’ season. AHL All Star and NHL call-up. And he said it on tape. He’s a wise one that Liambas. 18, Colton Sissons: The “Veni, Vidi, Vici” Award – As mentioned above: All Star, NHL call up, first NHL point in his first NHL game (assist), first NHL goal, and was consistently one of the Admirals best all-around players this season. Oh yeah, he was only playing in his first professional playing season at the age of 20-years old. Take a bow if you haven’t already, Colton. 19, Calle Jarnkrok: The Sickest Flow Award – This year’s hot acquisition by the Nashville Predators was able to make an instant impact in the system upon his arrival. No, not the amazing point streak that he had with the Admirals or the Predators. I’m talking about that flow – which was NHL ready from day one. 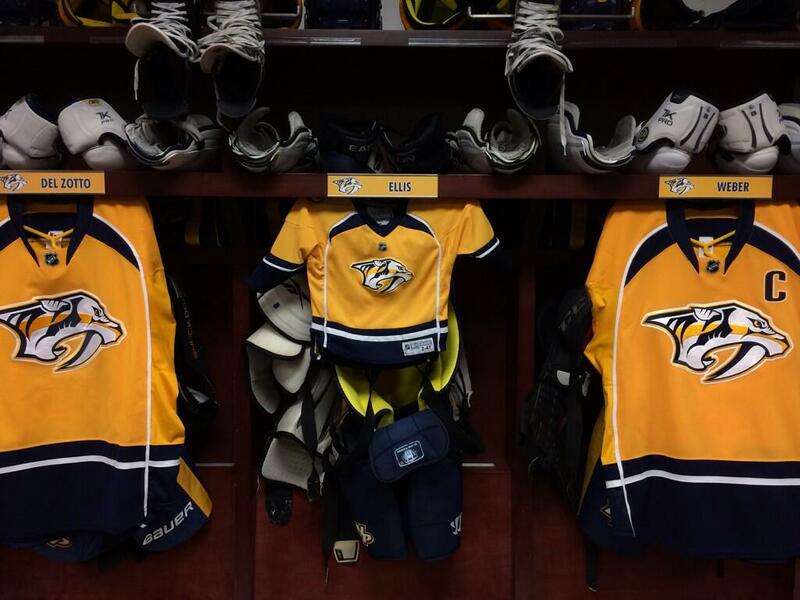 20, Miikka Salomaki: The “What About Me?” Award – The Nashville Predators called up Taylor Beck, Simon Moser, Colton Sissons, and Mark Van Guilder this season. As for the rookie Finn who finished the season as the Admirals leading scorer? Nope. His name may have always been in the discussion from the start of the season on-forward but Miikka Salomaki never saw the NHL this season. Welp, there is always next year. 21, Simon Moser: The Roundtable’s Olympic Champion Award – Nashville had their share of representatives at the 2014 Winter Olympic Games in Sochi. But so did the Milwaukee Admirals thanks to Simon Moser and Team Switzerland aka Team Moser. He was someone we all cheered for and even had his Olympic moment – scoring a game-winning goal in Switzerland’s opening contest. 22, Scott Valentine: The Facepunching of Bobby Shea Award – If there was an honorary award for the Rockford IceHogs… Bobby Shea would receive the “Biggest Idiot of the Year” Award. Luckily for the Admirals involvement with aforementioned dunderhead extraordinaire – Scott Valentine gave him the punishment many around the game would happily like to have dished up. That was this season’s Liambas vs. McKelvie and I, for one, loved it. 23, Kirill Gotovets: The “How Did I Get Here?” Award – No seriously. He and I still don’t really know how he became an Admiral. Not that it mattered too much because he was eventually let go anyways. 23, Garrett Noonan: The Best Nickname Award – You might be asking yourself just who is Garrett Noonan and what is his nickname? 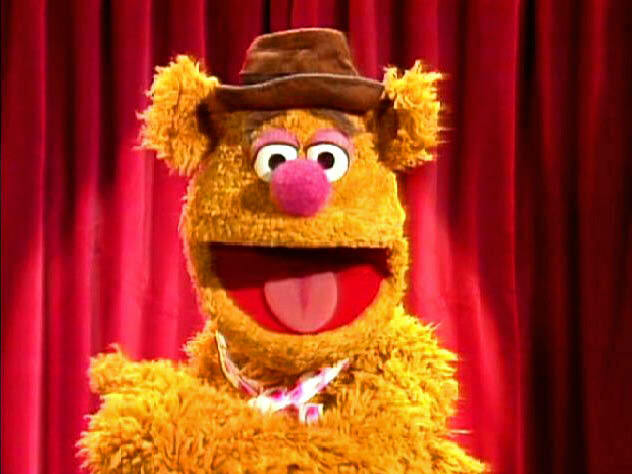 Well my friends, his nickname is Fozzie and we’ll be cheering Fozzie on later this fall. 24, Zach Budish: The Big Head Award – While the debate between Zach Budish and Taylor Beck could go on for years – it was Budish and his teammates who made this name stick. In fact, the full blame may as well go to Budish who gave us the soundbite of the year in Chatterbox. 25, Josh Shalla: The Best Blooper Award – Stay Gold, Shalla. Stay Gold. 29, Mark Van Guilder: The Story of the Year Award – I can’t think of a better story that took place this entire season than when 30-year old Mark Van Guilder finally was called up to play NHL hockey. He is as fantastic of a person as you could come across and he earned that call up. Not only did he get his long deserved NHL game. He also provided the NHL Network with their best TV in the history of the network. 31, Marek Mazanec: The Living Emoticon Award – There probably isn’t a player on the team with a better or more frequently displayed smirk on their face. Heck, remember his “almost” goalie fight against Kent Simpson? One of those goalies really wanted to go. Why? the other was laughing and smirking at him the entire time. 33, Bryan Rodney: The Thunderdome Award – There wasn’t a more polarizing player on the Milwaukee Admirals this entire season. Some loved him. Some didn’t. Some nights he would be a liability on defense. Other nights he would serve up perfect passes that triggered goals. Love him. Hate him. He’s the Thunderdome. 35, Pekka Rinne: The Perfect Human Being Award – … need.. need I go on? 36, Joonas Jarvinen: The Least Photogenic Player Award – Just as his clone Mikko Vainonen… he suffers from not–able–to–smile–itis. … he tries, and we love him for that. 37, Scott Darling: The Daniel Bryan Beard Achievement Award – YES! YES! YES! 41, Taylor Beck: The Most Valuable Player Award – This is one that could very well be debated from a few players but I dare you to defy Taylor Beck’s outstanding 2013-14 season and its impact on the Milwaukee Admirals. He did it all and, frankly, shouldn’t have been with the Admirals for as long as he was. 45, Magnus Hellberg: The Curse of the Goalie Bobblehead Award – When Jeremy Smith was given a bobblehead as an active Admiral player last season he was promptly passed by another goalie and hampered with injury – including a high ankle sprain. This season, Magnus Hellberg was bestowed with a bobblehead of his own as an active playing netminder for the Admirals… only to struggle with injury for the first time in his playing career… including a similar high ankle sprain to that of Smith. Future goalies beware. 47, Francis Wathier: The St. Baldrick’s Foundation’s MVP – Get the reference? How about now? 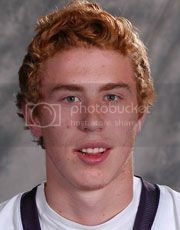 Out of the Admirals players that participated in this year’s “Cuts for a Cause” event none lost more hair than Wathier. 51, Austin Watson: The Mad Hatter Award – There was only one player this entire season who scored a hat trick for the Milwaukee Admirals. It was Austin Watson. And he not only saw hats hit the ice… but about one-thousand more teddy bears the very same night. 55, Charles-Olivier Roussel: The Good Guy Award – It became more and more apparent as the season trucked along that there wasn’t a player who enjoyed giving back to fans more than Mr. Roussel. He is always excited to meet and greet the Admirals fans. He participates in Admirals community outreach programs such as the reading program – where he frequently visited the French immersion school downtown. He even is noted for taking time on the road to acknowledge traveling fans inside and out of the rink. And, if you didn’t know already, is an active friendly voice on social media. Never change, Good Guy Charles. 74, Vinny Saponari: The Most Ginger Player Award – I’m not going to lie. A ten-year old fan at our Goolsby’s Roundtable event came up with this one and it was too perfect. 88, Joonas Rask: The Silly Faces Lifetime Achievement Award – Tuukka wishes he could have this award. Chalk up this round to little brother. Again, I would love to hear all of your own Paper Plate Awards! Provide your awards in the comments below. I had a lot of fun Wednesday! I can’t wait for Jake to see his ideas that were picked :) Thanks for having us! I’ve been meaning to ask you this all year. I don’t get the Thunderdome reference, or at least how it applies to Rodney. My understanding of Thunderdome is that two men enter, one man leaves. But thanks for keeping the Paper Plate Awards alive. They’re fun.